THIRUVANANTHAPURAM: Abhijith P S Nair’s cover of the song Ennavale Adi Ennavale became so popular on YouTube that it reached the ears of A R Rahman himself. Trained in Indian classical violin since he turned 15—with a lot of it self-taught from the internet—Abhijith has shared the stage with figures like bass guitar prodigy Mohini Dey. With his career graph on an ascending journey, he is currently using his YouTube popularity as a launchpad to work on his debut instrumental album titled Saraswati at Montreux. “Very few people record even covers with the instrument in this part of the globe. I started doing A R Rahman covers because his songs are open to interpretations. 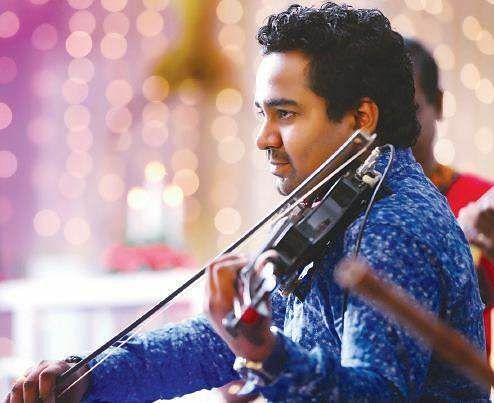 His tunes also help the audience connect with the musician in you,” says Abhijith, who has also done a musical flashmob exclusively-filled with Rahman songs. We chat up the musician before his show at JTPAC, next Thursday. Abhijith believes that flexibility is one of the strengths of Indian musicians. “In the West, when people like a genre, they religiously follow it. 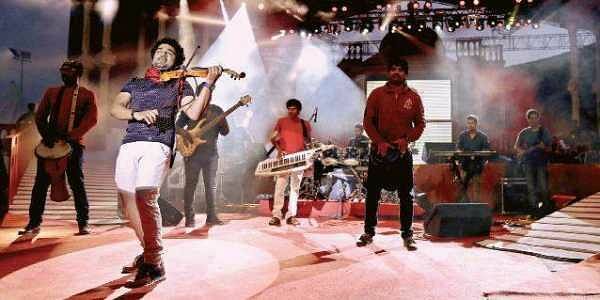 But, being a full-time musician in India doesn’t afford you that luxury,” says the 26-year-old, explaining how he got acquainted with various playing styles like folk and classical. Another breakthrough that the instrumentalist is grateful for is the onstage improvisations with popular musicians like the percussionist Anandan Sivamani. However, like every artiste, his dream also stretch towards developing an independent and innovative sound. “For the past four years, we’ve been working on creating a niche called ‘color jazz’ within the Indo fusion genre. A lot of musicians have blended Indian classical with jazz music, but we’re trying to do it keeping in mind the freedom of each artist collaborating with us,” says Abhijith, about the upcoming album which would be a duet with guitarist Sandeep Mohan. The plan definitely sounds promising with the title track of the release already having garnered over two lakh views on YouTube. The duo is also roping in international musicians like American drummer Dave Weckl for the project for which they’ve already prepared seven songs. The audience at JTPAC can expect tracks like Eklavya featuring six musicians including Mohini Dey.